The U.S. House of Representatives passed a bill Friday affecting trade to Russia and stipulating sanctions against suspected human rights abusers. The U.S. House of Representatives on Friday passed a landmark bill that would allow permanent normal trade relations with Russia and at the same time punish Russians suspected of human rights abuses, including those involved in the death of Hermitage Capital lawyer Sergei Magnitsky. The bill, which would repeal the Jackson-Vanik amendment of 1974 that denied trade advantages to the Soviet Union for hindering the emigration of Jews and other groups, passed with bipartisan support. The bill will now go the Senate, where its supporters expect it to be approved. It has the backing of U.S. President Barack Obama, who could sign the bill before the end of the year. Deputy Foreign Minister Sergei Ryabkov said Friday that there will be "tough" but not necessarily "proportionate" retaliation if the bill becomes law, Interfax reported. Ryabkov said mutual respect was lacking in bilateral relations, and he repeated Russia's long-standing position that the U.S. is attempting to interfere in the country's domestic affairs. The Magnitsky act, named after lawyer Sergei Magnitsky, who died in a Moscow prison in 2009, stipulates visa bans and a freeze of assets for Russians determined to have been involved in the arrest, abuse or death of Magnitsky, and for others responsible for human rights abuses in Russia. The House vote came on the three-year anniversary of Magnitsky's death. An investigation by the Kremlin human rights council found that Magnitsky's arrest and detention were illegal and that he was severely beaten on the day he died. Magnitsky was arrested in 2008 on suspicion of fraud and tax evasion, charges his colleagues said were fabricated by investigators who he had accused of obtaining a fraudulent $230 million tax refund. The version of the Magnitsky act published on the House website this week states that the list of people subject to sanctions should be determined on the basis of "credible information" and should be made available to the public. The bill mentions other prominent criminal cases criticized by human rights advocates, including that against jailed former oil tycoon Mikhail Khodorkovsky and his business partner Platon Lebedev, and says the Magnitsky case seems to be indicative of a bigger problem in Russia. "Sergei Magnitsky's experience … appears to be emblematic of a broader pattern of disregard for the numerous domestic and international human rights commitments of the Russian Federation and impunity for those who violate basic human rights and freedoms," the bill says. Democrats in the House were particularly pleased with the inclusion in the bill of the Magnitsky act, Washington-based newspaper The Hill reported Thursday. 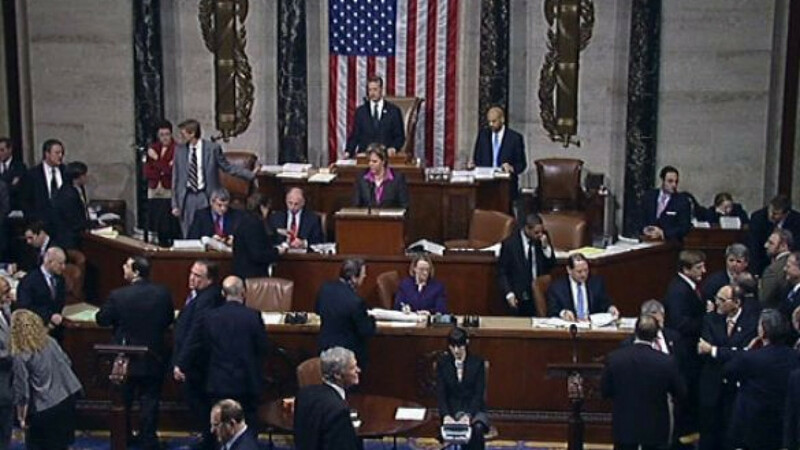 The House voted to link the Jackson-Vanik repeal to the Magnitsky act on Thursday, in a move praised by both parties. Republican David Dreier said the trade measure would benefit the U.S. economy and be a boon for Russians, who he said "deserve better than they've gotten," adding that "Vladimir Putin is not a good guy," the Associated Press reported.